Suppose you need to get a cake for someone’s birthday. And the guests have a litany of dietary restrictions. You could bake it yourself, but you’ve never done it before, so you might struggle to make something edible, let alone a cake that meets everyone’s needs. You could always go to the store and pick something up, but the odds of finding a generic store-bought cake that fits within their dietary restrictions is pretty low, and your options are definitely going to be limited. So you go to a bakery, and custom order a delicious cake that makes everyone happy. Your healthcare providers have specific needs, too. And if your portal can’t address those needs, it’s like one of the first two cakes: it’s simply not going to work. 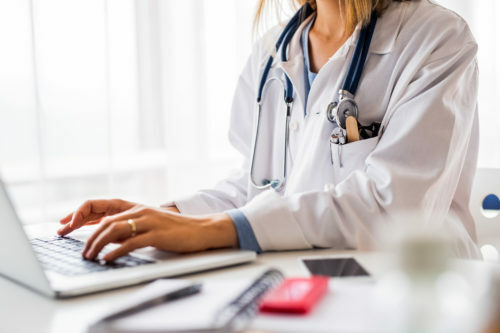 You might feel like simply having a provider portal is good enough, but keep in mind: some providers need to use multiple portals every day to interact with other health plans. That means they’re going to compare “your birthday cake” to others. Maybe another health plan is doing a better job integrating with their tools, or keeping information current. That doesn’t bode well for you. For any health plan to be competitive, it needs to cover everything providers expect from modern health plans. And that includes digital tools. One of a provider’s primary concerns is getting paid. And if your provider portal doesn’t have the records they need to make sure that happens, it makes their jobs harder. When someone walks in the door and hands over their ID card, a provider needs to know: is this person covered today? For what services? They need to be able to view and submit authorizations. If they need to refer someone to a specialist, they need to know that the process will go smoothly. They also need to check the status on claims. Your portal should be the best place for providers to see how and when they’re getting paid. It provides the best experience for them, and teaches them to use and trust your tools for things that are important to them. It’s easy for us to focus so much on what tools can do that we forget about how they do those things. If your tools can do everything your providers need and more, but they have to call you every time they want to do something (or it takes them 20 minutes to figure it out on their own), your tool has failed. Adding features doesn’t have to mean adding complexity. And if you want your providers to actually use and appreciate the solutions you give them, those tools need to be simple. It’s not just about design. The main things providers use your portal for should be most accessible. That’s why Healthx’s web-based solutions can create dynamic dashboards, allowing different types of users to see different information immediately when they sign in. Onboarding is another aspect of simplicity that’s often overlooked. When your providers give someone access to the portal, what does that process look like? If a new employee can’t create an account on their own, or your providers need to communicate back and forth with you to change someone’s permissions, you’re making their job harder and more time consuming. Finally, providers expect portals to be streamlined. They should be able to perform basic tasks in as few clicks as possible. Simple portals reduce the time it takes to check claims, confirm coverage, schedule an appointment, send a message, and complete other tasks providers do multiple times per day. Different types of providers use different tools. Whether you build a portal in-house or go through a vendor, be sure that your portal integrates with your providers’ tools. This is a major pain point that provider portals can address, but not all do. Without integrated tools, provider employees are left covered in Post-it-Notes full of usernames, passwords, and instructions for which tools to use for which processes. They may have to jump in and out of several tools for a single task. Besides this, if those tools don’t all sync at the same time, providers may have to work with mismatched data that doesn’t accurately reflect the services your members need or receive. It’s incredibly inefficient. But you can fix that with a well-integrated portal that puts all of these tools under a single login. With one secure key to all these tools, your providers can see helpful at-a-glance information from all of these sources, and they can quickly access the tools they need for each task, resulting in faster, more reliable care for your members. And remember: some providers use multiple portals every day. The best portals are helping providers solve this problem. If your portal doesn’t, you’re part of a problem providers experience every day. You know how frustrating it is when members clog your phone lines just to ask simple questions. Providers know that feeling, too. That’s why they want web-based solutions that can actually reduce the burden of communication with members. Phone calls turn even the simplest questions into urgent requests. Someone has to drop everything they’re doing, pick up the phone, and either provide an answer on the spot or track down whoever has the information your member needs. But providers also want a simple way to communicate with you. They don’t like waiting on hold any more than your members do. An intuitive provider portal gives them a preferred method to communicate with you. It’s simple and secure, and it helps your staff quickly give informed responses, because your portals automatically have the context for every conversation. The backend of quality portals show your employees who they’re talking to, who they’re talking about, and any details about the claim. It’s all right there, so your representatives don’t have to slow down the conversation to get that context. Providers directly benefit when they deliver better care. It makes them more competitive, and it makes their members healthier and happier. As a health plan, you have the ability to help your providers become more efficient and stay informed about how changes to the industry affect them. And your portal is one of the best ways for you to deliver that information. Our customers use the report distribution feature to publish reports and other documents to the provider portal. Since it’s all protected behind the secure login, this is a valuable way to share important information with the right people. For example, maybe there have been changes to compliance standards, or there’s new regulation that affects how your providers can best serve your members. You can use this feature to make sure everyone stays informed. You can also inform providers about which of their patients need which services. If you have data that indicates particular members would benefit from particular services, it’s in your best interest and your providers’ to make sure they schedule the necessary appointments. Using the type of provider and an individual user’s role, you can make all of this information dynamic, so that each type of user only sees relevant information. Providers also want all the information about how to use your portal to be in your portal. When someone signs in, the dashboard should include a launchpad to get information about specific tasks and jobs they may need to use the portal for. This could include training videos or technical support articles you have elsewhere, but the point is that they don’t need to dig around on your website—or worse, call you—to learn how to use your tool. With more than 200 health plans and TPAs in our customer base, we’ve already built solutions that work with the most popular tools providers use. We’ve spent years developing a first class content distribution system, creating adaptable tools, and collecting and using better data. We know what the best provider solutions look like. We know what the worst ones look like, too. That’s why we wrote, The Provider Platform: Why Portals Aren’t Good Enough. Inside you’ll find an honest look at why so many health plans give their providers sub-par digital tools, how you can make your providers more efficient, and ultimately, how to help your members get the best experience from their care. Get your free copy of The Provider Platform: Why Portals Aren’t Good Enough.